Carmen DeSousa: But the questions that plagued her remained. Who was she? 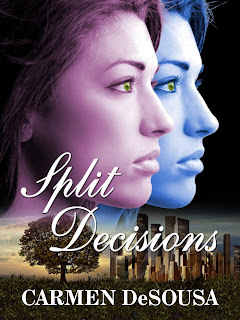 Excerpt from SPLIT DECISIONS ~ Coming June 27th! But the questions that plagued her remained. Who was she? Excerpt from SPLIT DECISIONS ~ Coming June 27th! 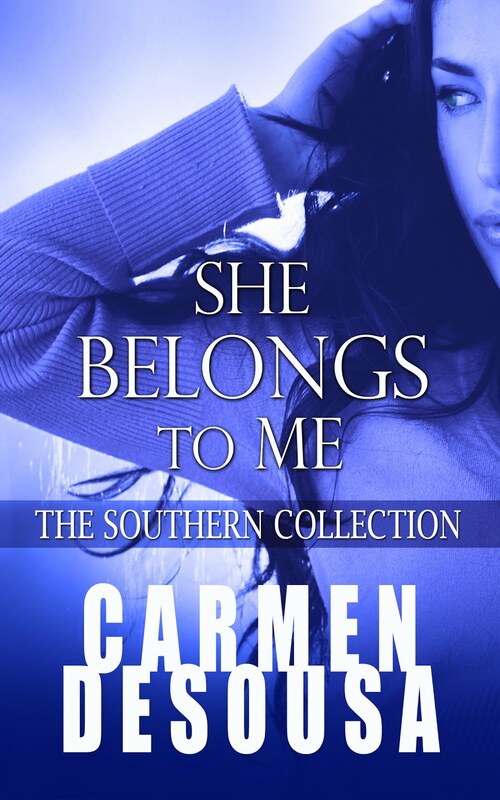 This is an excerpt for a follow up novel to the romantic-suspense bestseller, She Belongs to Me. There are a couple spoilers, so if you haven’t read the first book, clink here for more information. If you’re still here but missed the first excerpts and want to read the full first chapter, click here. After she dropped the kids off at school, she headed toward her favorite coffee shop, deciding to attempt some writing. The Coffee House overflowed with its early-morning caffeine junkies. Jaynee nodded. “Yeah…how’d you know?” Veronica wasn’t only her barista; she was one of her biggest fans. Jaynee offered a smile. “I didn’t know you were paying attention. I’ll have the usual,” she requested, approaching the counter. “I always take notice of my beloved clients, in particular those who also happen to be one of my favorite authors. When are you writing another book?” she asked designingly. Jaynee shrugged. She understood what Veronica was after. An opportunity to announce she knew her so that people would question her. She wasn’t anything special; she’d published six novels. Most popular authors nowadays had anywhere from ten to a hundred. Jaynee accepted and paid for her vanilla latte, hot. It didn’t matter that it was August. She always drank her morning coffee steaming and her afternoon coffee iced. While sipping her coffee and chewing on a muffin, she checked her personal email. A couple of links to her personal Facebook page, comments on her recent addition of family pictures, and messages from her mother. Though her mother had retired from the entertainment business, she’d retained her stage name, and most of her five thousand friends were actually fans. Jordan hated when she made comments on their children’s pictures that strangers could see them, so she’d asked her to comment in private. Her mother balked, of course, but in the end, agreed. She knew Jordan wasn’t someone to trifle with. When they’d first met, her mother loved Jordan. But after realizing he wasn’t willing to placate her, she’d turned cold. It didn’t bother Jaynee. She knew her mother’s personality; everything had always been about her. She tolerated her because she was her mother, and other than her uncle’s family, she was all Jaynee had. Thinking about her mother always depressed her. She needed to stop lamenting and write, or she’d be back where she was yesterday. The first words were always the hardest. How to commence. Set a scene? Introduce the main character? Jaynee knew what she wanted, but not how to begin so she started web surfing. Without warning, bleakness saturated her core. Emptiness filled her insides, making her feel as though she would break down and cry. She Googled inconsequential things: the weather, recipe ideas, anything to occupy her mind. But the questions that plagued her remained. Who was she? What did she want? Why was she miserable inside when everything in her life was perfect? Why did she feel as if she were missing a significant part of herself? What more did she want? She had everything she’d ever wanted. 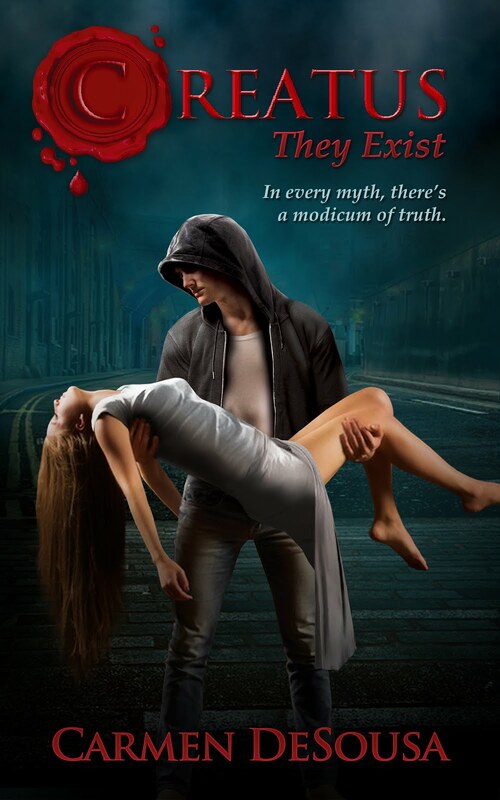 Deciding to search for an answer that didn’t exist, she typed her pseudonym, Jaynee Jordan. Pages popped up indicating her profile, her novels, her picture. Was this her? Not satisfied, she typed her married name, Jaynee Monroe. Only a few entries: her Facebook page revealing a couple of profile pictures, her name as co-owner of Jordan’s company. But mostly links about the attempted murder and subsequent coma of Detective Jordan Monroe’s wife. The reminder of the shooting sent a chill through her, but it had happened almost thirteen years ago, and she’d always been adept at suppressing painful memories. She’d done it her entire life. Staring at her laptop, she realized she was Jaynee Jordan, author of a few novels and Jaynee Monroe, wife of Jordan. What else was there? What else did she desire?